We’re sorry to hear you’re considering unsubscribing. If you’re thinking that a single signature alone doesn't make a difference, we’d probably agree. But a million signatures absolutely can! Together we have won victory after victory -- from winning ivory bans to beating Monsanto in court! We send about one email per week in which you can take action on pressing global, regional or national issue, so we can keep achieving victories like these. 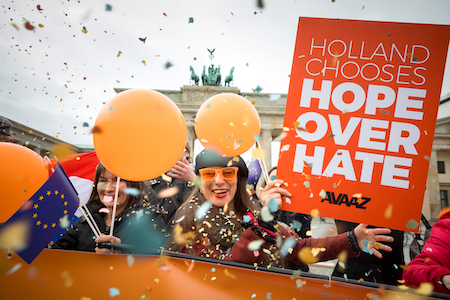 We'd love for you to stay, but if you’d still like to unsubscribe from Avaaz, you can use the form below and you will be unsubscribed as soon as possible. I don't remember ever joining your list!